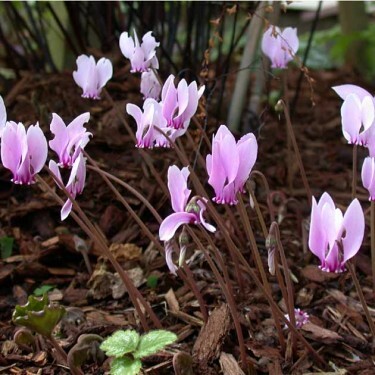 Cyclamen neapolitanum is one of my all-time favourite flowering plants. Each autumn season, when their dainty little heads appear above the mottled foliage, I can’t help but smile. I have a patch that’s been growing for years - love it! The two toned pink flowers resemble butterflies in flight and bloom in late summer and early fall. The beautiful heart-shaped foliage is just as attractive. This plant naturalizes very well. Trust us, plant this. You will love it! 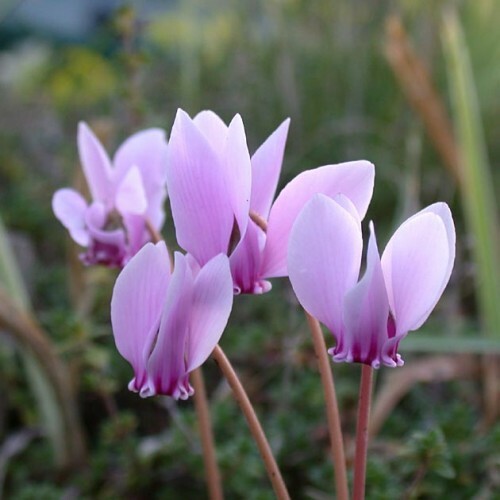 Native to the Mediterranean, these plants bloom for many weeks and spread easily in the garden. In a few years you'll have a nice little colony of perky pink flowers! They're so very cute and if hardy to your zone should definitely be on your list! These are truly delightful little flowers and because they are short in stature, you should consider planting them where you will be able to enjoy them the most: next to patio area, under a close-by tree or along the edge of a flowering border.